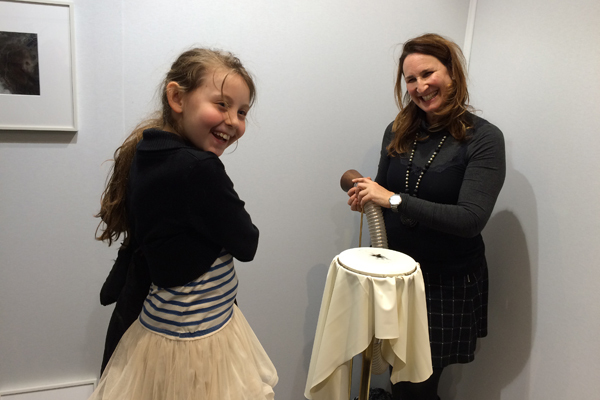 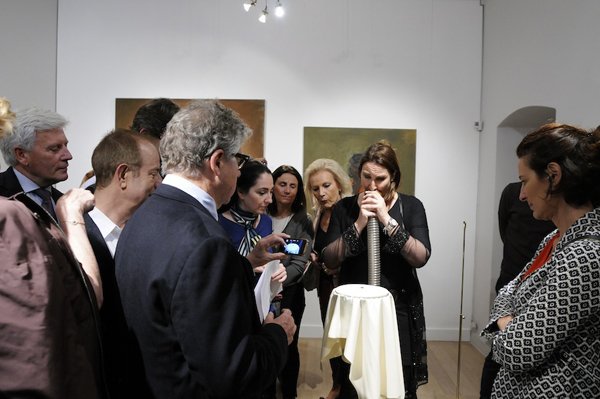 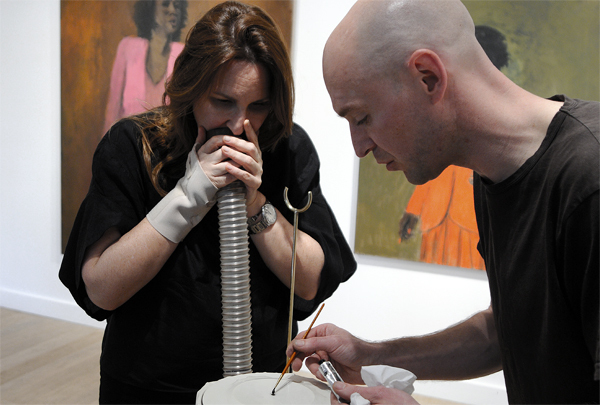 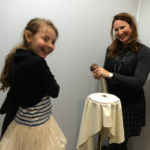 Noga adds her voice to the Nick Laessing’s Eidophone during performances presented by the Gowen Contemporary Gallery, Geneva. 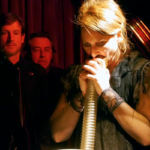 The two artists were brought together by their gallery for the first time at a group exhibition in Geneva in May 2014 which, amongst other things, presented the Eidophone along with the work (musical sculptures and improvised performances) of the ASAP2 duo made up of Noga and Thierry Hochstätter. 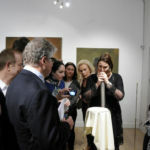 Inspired by the one of those turn-of-the-century inventions which never really caught on, Nick Laessing’s Eidophone explore the outer limits of science, at the same time questioning its relationship with the inconceivable. 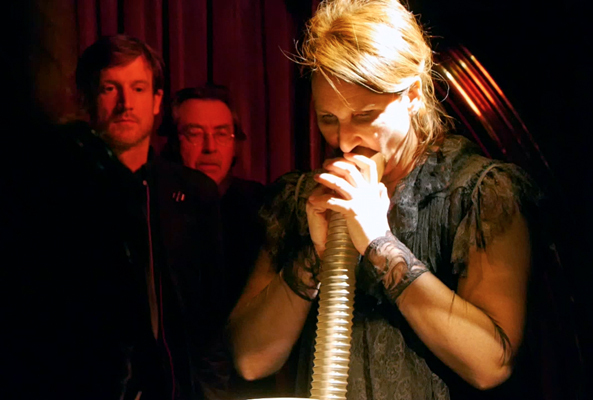 The two artists perform together with the Eidophone and, in a free improvisation exercise, Noga literally draws with her voice.